Luckily I’m developing for BlackBerry 10: BB10 is based on QNX – a powerful Realtime-OS. BB10 is a mobile platform, not only a mobile OS for smartphones or tablets – read more from my last blog post. Combining all these features using InvocationFramework is easy done and fore the user it looks like one app and allows smooth workflows. Customers can use all of this without an own server, but they can also add a BES 10 Server to get some more security: then Balance is integrated and all business data is secure and encrypted and separate from private apps and data. This is mainly a developer blog – so what does all of this mean for a mobile developer ? Using a Keyboard changes this: you want to TYPE and go. BlackBerry 10 introduced Keyboard shortcuts with Q10 to support the physical keyboard. So it’s easy in Lists to jump to the top (‘t’) or to the bottom (‘b’) or to the rows on next page( ‘spacebar’). You can also implement your own Shortcuts or KeyListeners. Shortcuts are helpful, but the user in many cases still has to switch between Touch and Keyboard. Ok, the distance is short on a Q10, but a much better UX would be to select the current Row of a list, use a selection-color to make this visible and then listen for Enter key to simulate the TAP on a row and push a details-page on top or so. Will talk about this in extra blog posts here. Using an external keyboard you get more keys and you should use them: ESC to simulate the BACK button, Arrow-keys to select next/previous row, F1… F10 function keys for some extra goodies etc. If there may be use-cases for your app to deal with external keyboards, you should listen for connect/disconnect – signals and change behaviour of your app on-the-fly. Important: KeyListeners are always heavy, so only use them if needed. Luckily on BB10 it’s easy to create them dynamically. The easiest thing is to mirror your main screen and this solves many use-cases. You get much more flexibility if you’re able to provide different content on primary and 2nd screen. You could already do this with current release of BB10, but not from Cascades. So I’m looking forward to upcoming BlackBerry 10.2 to get more comfort to develop such scenarios. First demos were already presented at BBLive / BBJam conference by Gary Klassen (@gehr). Also from 10.2 BB10 supports wireless HDMI via Miracast. All of this will make it a lot easier to develop Cascades apps for more then one screen and to use it without an extra HDM cable. As a developer writing cool and easy-to-use apps for mobile enterprise you’re in the pain to test all these scenarios in advance. 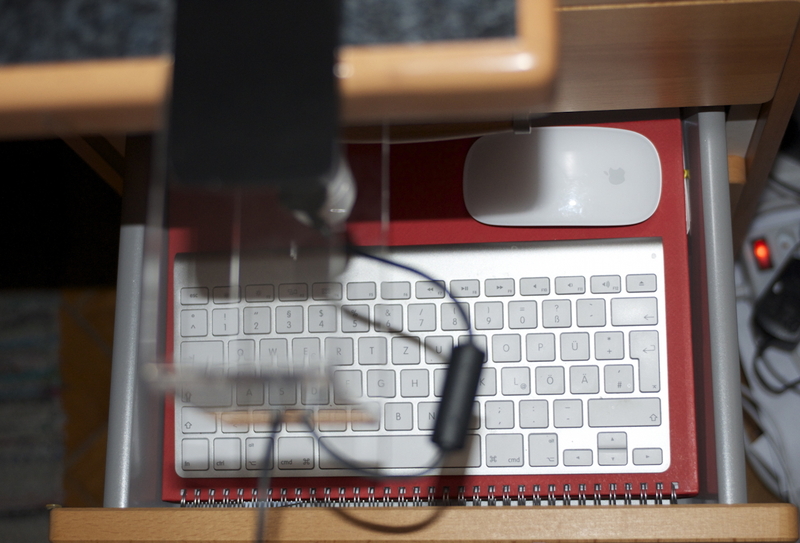 Before supporting external keyboards / mouse and 2nd ScreenI placed on my developer desktop a MacBookPro 15″ plus Apple 27″ Thunderbolt display. 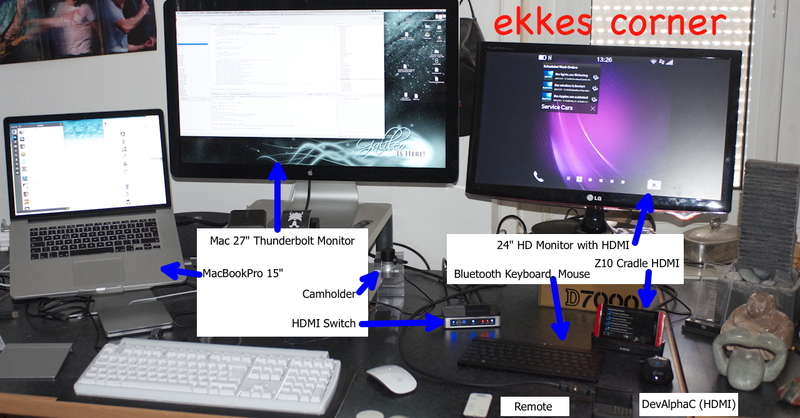 Now I added some more things: My MacBookPro has HDMI output, but this cannot be used as an input – also Thunderbolt-HDMI-adapter only can send to HDMI displays. So I had to add another monitor used by mobile devices as 2nd screen. Of course I’m not always testing mobile with HDMI, so I want to use this monitor also on my MacBookPro – so I needed a HDMI switch. 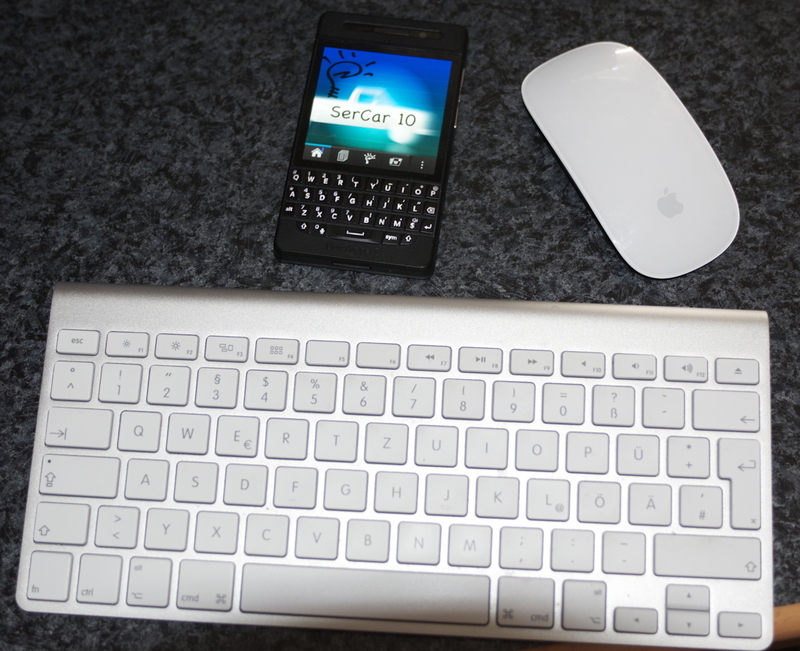 Then I added Bluetooth keyboard and mouse and a docking station for BlackBerry Z10. If you want to know more about the details, please read this post by me at BerryReview. Now its great to work: normal development with 3 displays gives me some extra space, simply switching to use the HDMI Monitor as 2nd screen from HDMI-Switch-Remote with one-click. Next Video will use a 10″ FullHD – HDMI Monitor together with BB10 device – just waiting for the monitor to be delivered to me. 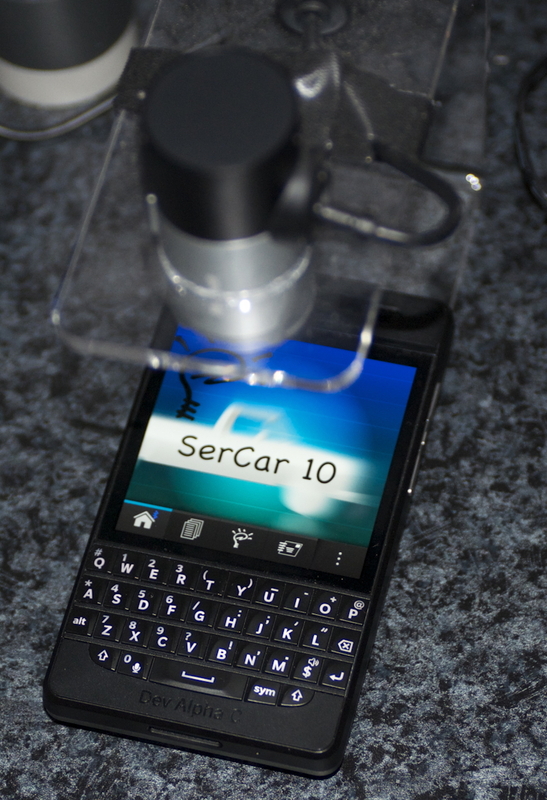 This one will be used inside ServiceCars for a better view of BlackBerry Map with Pins on top for current Car positions. where I will talk about “Peer-to-peer pushes ion Business Apps” – also a feature used by this Service Cars Management System on BlackBerry 10. Published at DZone with permission of Ekkehard Gentz , DZone MVB. See the original article here.